Purchased from Joe Flynn, Sr. Coin Company, August 10, 1971. 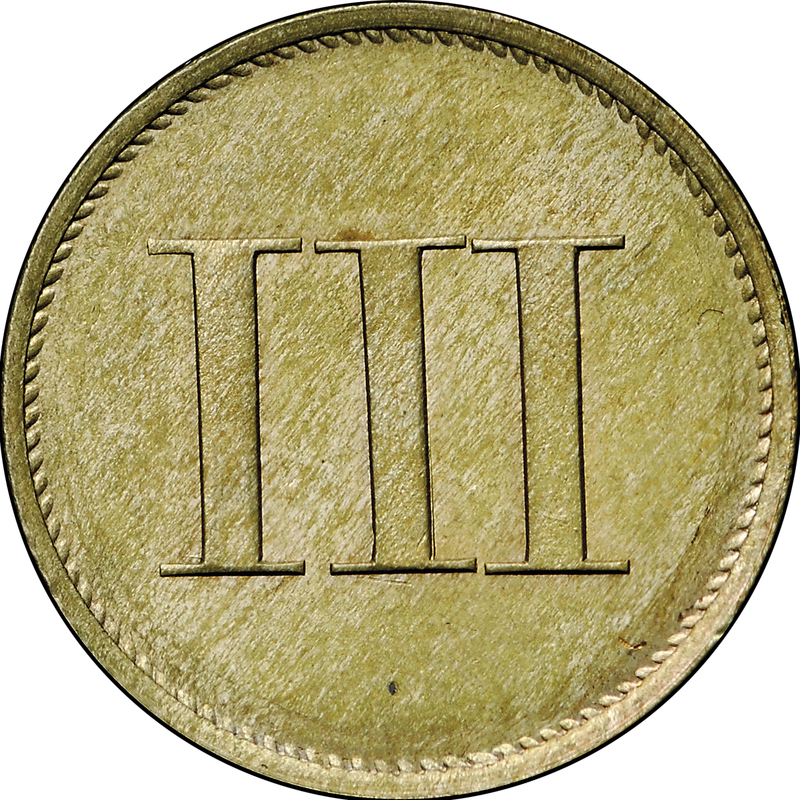 Roman numeral, III, at center, dentils around. 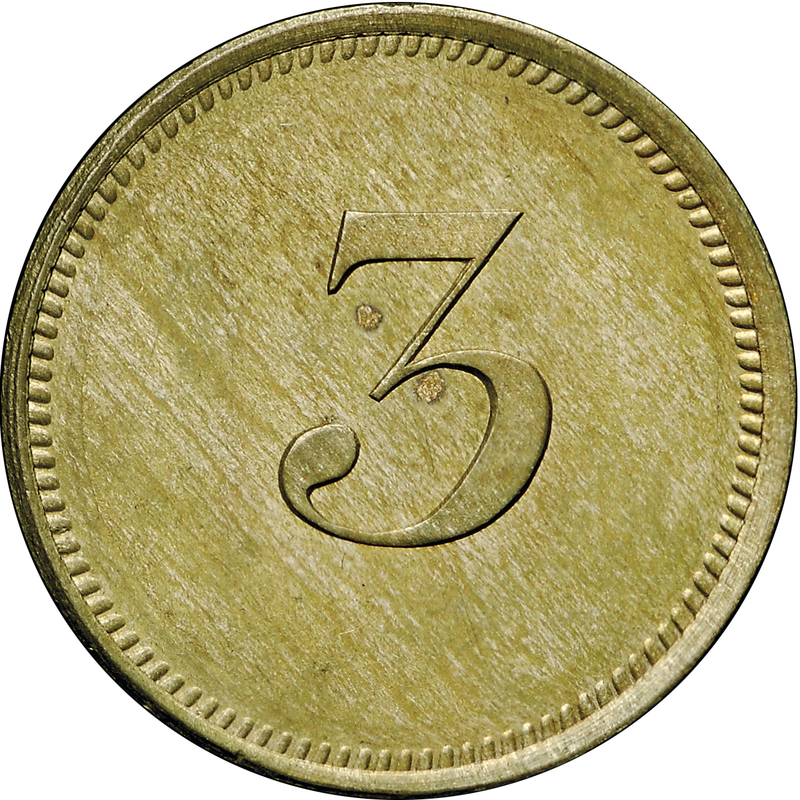 Arabic numeral, 3, at center, dentils around.